- New: A brand-new, unused, unopened, undamaged item. • Perfectly Suitable for Mobile Phone use. It helps position your mobile phone at any level. • Once Balanced and Placed it’s a fully secured mounting and will comfortably hold your mobile in the desired position. - Brand New, Best Quality. - Easy to Carry Compact Pocket Tripod. - Easy for mounting on table, desk anywhere. - Well Speacially Designed and Easily Suitable for all digital cameras. 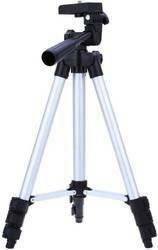 Get stable, professional-looking camera and camcorder video footage with this expandable, lightweight tripod. 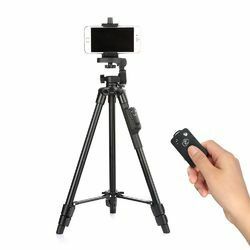 magento/consumer-electronics/digital-camera/portable-digital-camera-tripod-stand.html Description Adjustable tilt up / tilt down with handle.